Systems like Apple’s iMessage (their text messaging service) use encryption ensuring that all messages sent between Apple devices via iMessage are encrypted with keys that Apple does not have. They keys are on your device. Law enforcement agencies want Apple and others to provide a means of decrypting those messages without having to obtain the device itself. The problem is that if the government and Apple can get in, others will inevitably find a way to exploit that same back door too, making us and our data less safe and secure. What some governments have failed to understand is that the bad guys can bypass any back door by using their own encryption. The smart bad guys probably assume that these back doors exist now (or at least aren’t taking any chances) and are already using their own encryption for their communications. How hard is it to write software to encrypt and decrypt messages? Do bad guys have access to programmers smart enough to do this? Yes, they almost certainly do. Let’s take a look at what is involved in using Xojo to write an app that encrypts and decrypts messages. First, two keys need to be generated, a public key and a private one. The public key allows anyone to encrypt a message that only the holder of the matching private key can decrypt. Public keys can only encrypt. They are no good for decrypting messages. This means you can give anyone your public key which they can then use to send encrypted messages to you that no one else but you can decrypt. MsgBox "An error has occured. Keys could not be generated." MsgBox "Encryption failed because the Public key provided is not valid." MsgBox "The message could not be decrypted because the incorrect key was provided." This is 12 lines of code and like the other code examples, is mostly error checking. The important line is the third one that calls RSADecrypt. There is some additional code to save the keys to a text file and load them back in automatically when the app is launched. However, even adding in all that code gets you to only about 80 lines total. In other words, this is not a big app and not beyond the ability of someone with intermediate programming skills or even perhaps a very dedicated novice. (To learn about this in more depth, read Using Public/Private Key Encryption in Xojo). If you’d like to try out encrypting messages with the app from which the code above originated, you can download CryptoMessage for macOS, CryptoMessage for Windows or CryptoMessage for Linux. Have a friend do it as well and you can send encrypted messages back and forth. If you’re more adventurous and would like to try playing around with the source code itself, make sure you have Xojo installed (which can be downloaded and used for free) then download the CryptoMessage Xojo Project. Xojo has a crypto library (the part that provides key generation, encryption and decryption) built-in to it. However, if a programmer wasn’t using Xojo, they could easily find a crypto library on the Internet to use. In other words, building your own app to encrypt and decrypt messages is not very challenging. As I mentioned earlier, the bad guys (at least the smart ones) are likely already doing this as they are probably sufficiently paranoid that despite public announcements to the contrary, the back doors already exist. 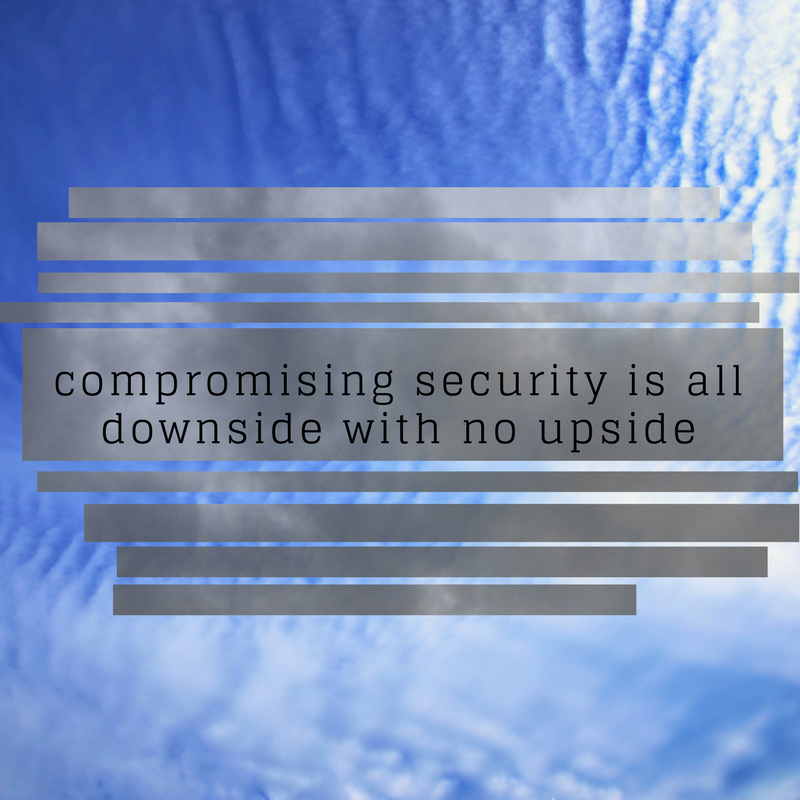 The assumption that compromising our security enables catching more bad guys is a flawed one that I have written about before. It won’t work and we will all suffer needlessly. Imagine not being able to carry on a private conversation via your smartphone. That would make your device feel a lot less useful. Some governments have “experts” that have suggested it would be possible to have a back door Law Enforcement could use but could not be compromised by anyone else. That is a logical impossibility. Governments do not possess magic powers. They are made of up people like you and me. That is wishful thinking at best and negligent at worse. When your government starts making noises about doing this, I advise you to make it clear to them that for the reasons I have stated in this post, such a compromising security is all downside with no upside at all.